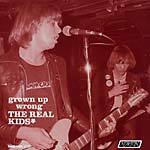 "It's been 38 years since Boston's REAL KIDS debuted with the finest rock'n'roll record ever committed to tape, and now they're back with a long-awaited new full-length on legendary hometown label Ace Of Hearts and Canada's Ugly Pop. Of course, long time fans can always be excused some apprehension when a band of this vintage presents new material so deep into their career, but there's no cause to fret here. Shake...Outta Control is a fantastic return to form, a strong set of powerful, memorable and engaging songs that do absolute justice to this band's legacy. While some bands lose track of their own soul in forced attempts at progression, and others risk diminishing returns by simply treading the water of their earlier work, 2014 finds the Real Kids negotiating this path beautifully. Boasting both the raw energy and tough hooks of 1977 and the matured chops and expanded palette of frontman John Felice's Nothing Pretty LP, the dozen songs on this disc settle easily among the band's best work. Producer Rick Harte guides with an expert hand, integrating Hammond organ and pedal steel seamlessly into a full yet suitably unpolished whole, and the songs run the gamut from quieter but intense ballads like a definitive new 'Common At Noon' and a sublime take on Jonathan Richman's 'Fly Into The Mystery' to fast-paced rockers like 'All Night Boppin'' (powered along by highly caffeinated barroom piano) and of course the instant classic title track, a high-energy gem anchored by the sort of classic Boston punk rock'n'roll riff that made this band's name. Culminating in an incendiary 'Who Needs You? 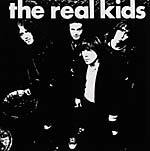 ', this is a genuine Real Kids record that will thrill new fans and old alike. Superbly mastered at New York's renowned Sterling Sound, Shake...Outta Control is unleashed this month on Ace Of Hearts as a twelve-track CD, with a ten-song LP (cut 100% analog direct from tape and pressed on 180G vinyl) to follow on Ugly Pop." 1993 release. "Blistering unissued live recordings ('76-78) from one of America's coolest rock n' roll bands! Many of these songs were pegged to be cut for the never recorded 2nd Red Star album! This howls!" 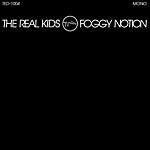 "The earliest known Real Kids recordings circa 1974 find the band working out on three Velvet Underground numbers plus a lengthy read of Felice's old boss Jonathan Richman's 'Fly Into The Mystery.' Truly wild package!" Originally released in 1991. "Norton takes mucho pride in reissuin' this legendary Boston combo's long outta print 1978 Red Star album! Dig the colossal coolness of the Kids blazin' thru their classic anthem 'All Kindsa Girls' and more. A wigout platter from a wipeout decade. Don't miss it!"